On Friday, my cousin sent out a fashion SOS. 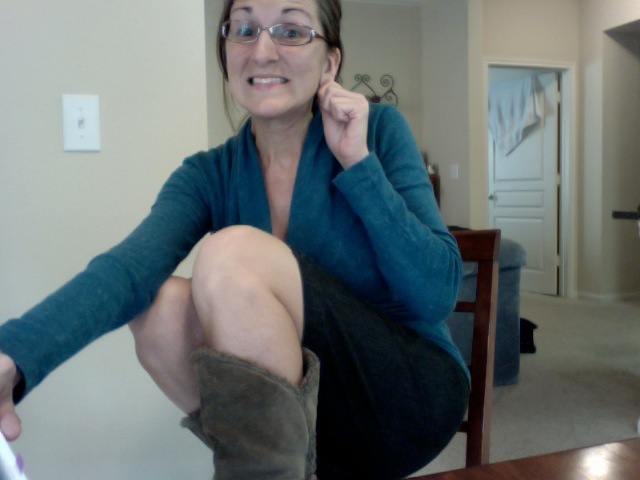 I stepped in front of the mirror this morning and realized I seriously need a fashion intervention. This is an SOS to send me 1 or 2 of your favorite trends from the fall (or any season) so I can start thinking creatively. This could be a fun conversation, so reply to all if you want to join in. Here are my problem areas. (1) I have boots, but I don't know how to incorporate them. I've only done it with skinny jeans but how about skirts - what length, what fabric? (2) I like the scarf trend, but I don't know how to handle it. Thoughts? (3) I have lots of sweaters and jeans. And I wear lots of sweaters with jeans. In fact, every day is sweaters with jeans. How can I jazz it up/dress it up? A more professional style would be nice. (4) Accessories are nonexistent. I really need ideas. I always feel like a ragamuffin, and I want to feel fabulous. Help! Boots are definitely a winter staple. I got this pair for Christmas last year and wear them all the time with skinny jeans, leggings and skirts. Fashion Therapist pairs boots with skirts like a pro. Check out how cute she looks! I am always worried that my scarfs take over my body, but Angie shows us how to pull it off. And a friend of mine produced this video for Jean Therapy with lots of ways to tie your scarves. Got some great ideas from Chictopia.com. Love the accessories in these next two! I need a jacket like this for cold nights in skimpy dresses. Super Simple yet Super Cute. I rock tights hard in Winter. Check out Modestly Styled. Modestly Me. 's blog for professional looks. She wears mostly J.Crew. She always looks good, and we have to give it to her for sporting LSU colors here. I've noticed the key to this fashionista blogger's style is funky shoes (usually very tall ones). Rachel, I hope you get some good ideas from these lovely ladies. Check out their sites for updates. When I lived in Dallas I started yelping. You know writing reviews for the website, Yelp.com. I wrote forty reviews within two months mostly about the lunch spots we were hitting because my boss took us out to eat everyday. Then, I got an email asking if I wanted to become Elite. Elite? Who me? But of course! 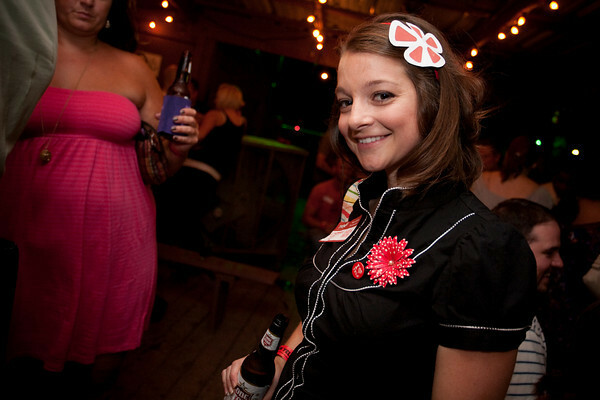 I started getting invited to the Yelp parties, met other Yelpers and had a grand ol' time. When I started to look for a job in New Orleans, I thought about Yelp and realized the Yelp community was under utilized there. With so much tourism in New Orleans, I thought Yelp really needed to tap into it. So I wrote a letter telling them to hire me as Community Manager. I sent the letter to the community managers in Dallas and Austin who then passed it on up the chain. Well, a year later I got an email from the Community Manager in Dallas saying that Yelp was coming to NOLA and hiring. Bummer. What a great job! Write reviews. Talk to and promote local businesses. Encourage community involvement. Throw parties with the company credit card! Needless to say, I couldn't apply because I already have a full time job, but at least NOLA got some recognition and hey, at least I get to go to the parties. think Yelp is just the “on and offline” community connection that south Louisiana needs. and no one has reviewed it yet! Not to mention that it totally ROCKS! Likewise, the sparkling new 55-million dollar Shaw Center for the Arts in Baton Rouge has been THE ultimate place to hobnob in Baton Rouge since 2005…again no reviews! Are you kidding me? Get me out there people! I’ll shout it from the rooftop terrace! No. 1 - Food and Drinks are a top priority here. match made in cyber heaven! Yelpers are energized by reviewing hole-in-the-wall, off-the-beaten-path spots, and Louisiana is full of them. Cajun country thrives on small businesses like mom and pop boutique hotels, bed and breakfasts, diners,dive bars, and local retailers. Louisiana was ranked No. 5 for entrepreneurial activity by the 2008 State New Economy Index. Like flashers on Bourbon Street, new businesses need “exposure”. Come on Yelp, show us what you’re working with. No. 2 – Tons of Young Professionals. South Louisiana is home to over 130,000 students at 12 major universities and colleges, and three of those colleges usually hold the titles of “Top Party School”. This means that there are a ton of young professionals with degrees in partying just waiting to partner up with Yelp. TOGA, TOGA, TOGA! YELP, YELP, YELP! While other states are seeing folks leave under high unemployment rates, Louisiana has now experienced the second consecutive year of population IN-migration, according to the US Census. IN-Migration = Yelp sensation! I want to flag down those moving trucks, welcome the newcomers, and point them to Yelp! Yelp knows how to party, but you haven’t seen anything yet! We’ll stick the CEO’s on a Mardi Gras float and have them screaming for more. 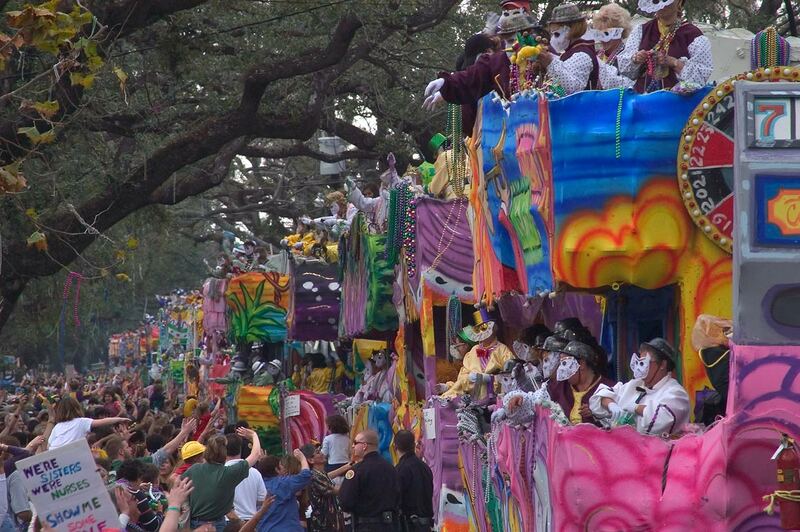 No seriously, you haven’t experienced life until you’ve ridden a float in a Mardi Gras parade. It doesn’t stop at Mardi Gras. There are 250+ festivals every year in this region. This opens up a huge opportunity for Yelpers to sample great food, music, and even stop on by a Yelp booth! What better way to advertise than by connecting with local and visiting Yelpers in a cultural laid back atmosphere. If I have any say in it, the Yelp events page will be fully stocked! Festivals, jazz, soul, blues, parades, oh my! We’ll prove that those that play together stay together. Besides the fun, it’s a big business here. Tourism is a $5.5 billion industry in New Orleans, and there isn’t much competition for online resources in this tight-knit community. Word of mouth is how it works down here and once I start the Yelp craze, it’ll spread like a bonfire on the levee. No. 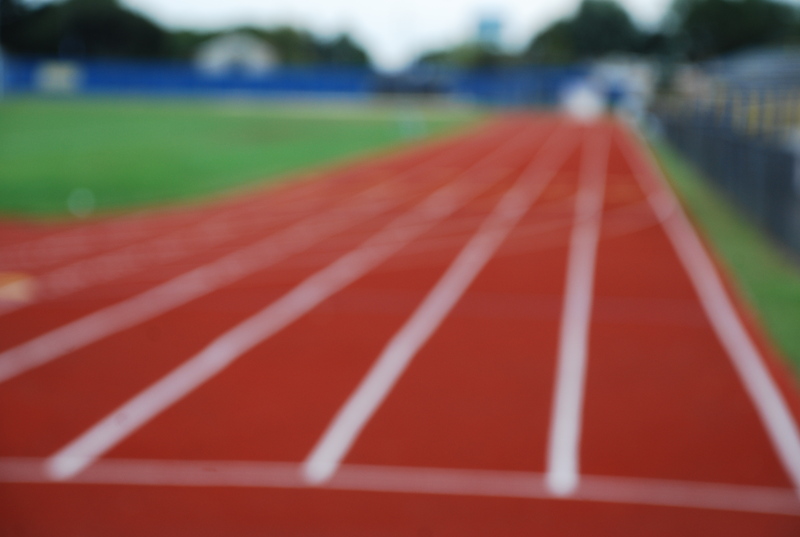 1 – I get around. Together we could take over three cities, not just one. My peeps cover New Orleans, Baton Rouge and Lafayette. My passion for this region is contagious, so WATCH OUT! I once fell asleep in the gospel tent at Jazz Fest when I was FOUR. “Four year olds at Jazz Fest”, you ask? Yeah, that’s me. I know this region; I party with these people; and I am as sweet as pralines, but I put my game face on when it comes to business strategy. Need to know who has the best gumbo? Holla! Where’s the party at? Right here! Friends come to me to find out what’s new, what’s good and what’s spicy! I am always up to try new places and share my experiences. I am a motivator, creator and writer on a mission to promote a sense of community through Yelp. Last year most of my friends had never heard of Yelp, but don’t worry, I told them all about you! I have hundreds of social and business friends on and off line and became Elite after just 3 months of Yelping. No.3 – I am a Designer.